Nina Parks, #takingstandsf, photographs for anti-police brutality campaign in response to police violence at Valencia Gardens, San Francisco, 2014. Learn more. 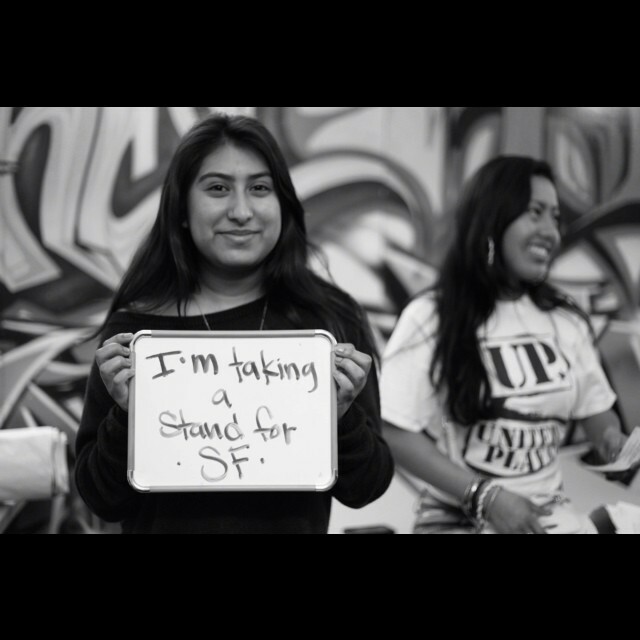 The Bay Area Society for Art & Activism is proud to provide teaching artists to collaborate with Bay Area educators and young activists in the classroom. This placement program pairs teaching artists with Bay Area educators to develop and implement an arts-integrated social justice curriculum in the classroom. Curriculum and student work are documented and shared on the Collective Memory: Art & Activism Archive.